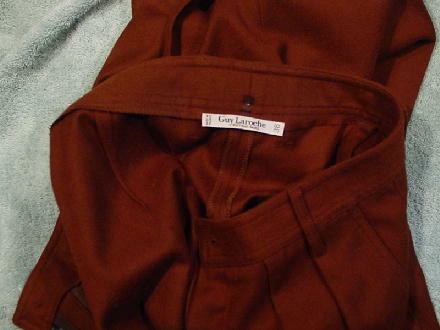 These vintage pants were made in France by Guy Laroche Boutique - Paris. They're in a dark golden brown and have a front 6 1/4" long zipper. 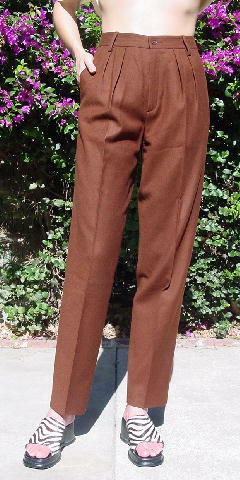 The 1 1/2" wide waistband has belt loops (check out our belt section for a good match) and a 1 brown button closure. 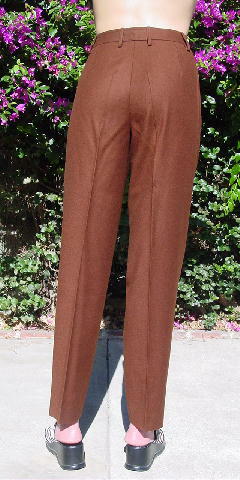 There are four pleats in the front and two angled slash deep side pockets. waist to hem 42 1/4"